The SAR crew and their boats crash around in any kind of weather, assisting mariners from stations up and down the coast. 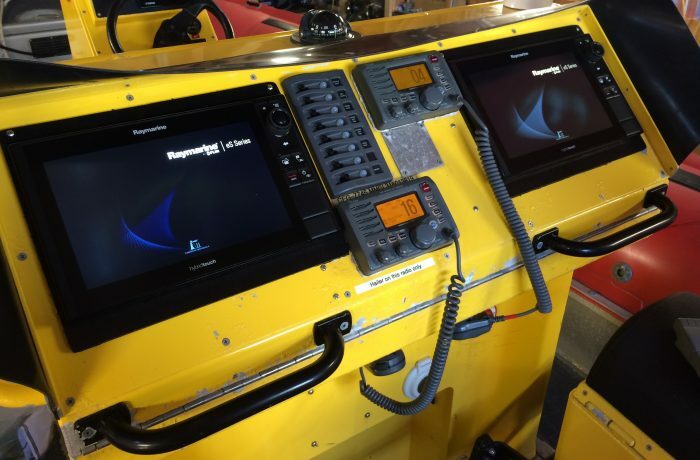 This vessel's Raymarine C-Series Classic displays had stood the test of time but were beginning to experience failures after years of competent service. 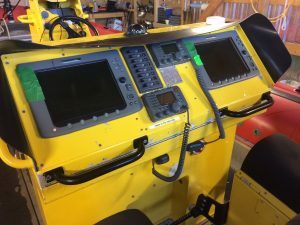 The SAR crew specified new Raymarine eS 12" displays and Quantum digital radar to provide operational support, installed by Anchor technicians with custom-fit trim rings and reinforced wiring looms.